Over 40 Years of Supplying Industry Kitchen & Cabinetry needs. The Reece business began in 1919 when Harold Joseph Reece commenced selling hardware products from the back of his truck. Today, Reece is a major public company and Australia's most successful supplier of plumbing and bathroom products. We have over 400 stores across Australia with over 3500 staff and thousands of products. Bringing Australia all the latest fashions and trends from Europe & all over the globe. Recognised as the world’s leading luxury marble bathware, with its unique ability to create bespoke pieces allowing designers the freedom to bring their imagination to life - apaiser is selected to enhance beautiful hotels, stunning resorts and premium residential bathrooms across the globe. Headquartered in Australia, with showrooms in Melbourne and Singapore and offices in Singapore, London, Dubai and New York, apaiser has global partners in Australia, UK, India, Taiwan and New Zealand. All apaiser products are handcrafted from the revolutionary apaiserMARBLE® – a luxurious blend of repurposed marble, combined with stone and minerals sourced from the rich soils of the Australian Barossa region. Tactile to the touch and shaped by hand with absolute perfection, apaiserMARBLE exemplifies the best of modern technology, melded with the meticulous craftsmanship of the artisan. Our mission is to create beautiful bathware that is sympathetic to, and impacts benignly on the environment. In all phases of our process, we strive to produce a product with consistently low environmental impact. We are committed to manufacturing bathware which is sustainable and non-toxic – apaiserMARBLE is free from zero-formaldehyde and volatile organic compounds (VOCs). Headquartered in Melbourne and with showrooms Australia wide, apaiser is also featured in showrooms in the North America, Asia Pacific, Europe, South Asia, United Arab Emirates, Middle East and Africa. Since 2001, The Splashback Company have been designing and manufacturing architectural glass products with outstanding results. Our products have been developed to meet the highest technical standards and are used in thousands of projects across Australia. With a reputation for friendly service and a truly uniqe product mix, it’s easy to see why TheSplashbackCo.® is the smartest choice in glass. Wood Melbourne was founded by carpenter, builder, tinkerer and inventor Oliver MacLatchy. Oliver Maclatchy loves people but he loves timber more. He loves the way timber looks and feels, its versatility, how it ages with you and tells a story. In Oliver’s world, timber belongs in every room of the home. Oliver likes to be alone with his timber sometimes to conduct late night experiments and to tinker with reclaimed and recycled timber. During one of these sessions in his workshop in 2013, Oliver invented timber spouts, the likes of which have never been seen before. Wood Melbourne, much like the material, has grown naturally since that famous night. Wood timber spouts provide a warm, sustainable and natural alternative to traditional spouts. Each individual Wood timber spout is designed and made by hand in Oliver’s workshop in Melbourne. The raw timber used for each spout is reclaimed timber that goes through a 12 step process by hand including denailing, sanding and waxing. This process makes sure each finished timber spout is unique in aesthetic but uniform in levels of exceptional craftsmanship and quality. Wood Melbourne is very excited to have launched their second line of products, designed and hand crafted by Oliver - in concrete. Check out all our products online or in store: Wood Melbourne showroom 146 Melville Rd, West Brunswick Open Saturdays 11-2pm or by appointment - email us: hello@woodmelbourne.com At Wood Melbourne we are always creating new products highlighting the natural beauty of raw materials. Stay in touch by signing up at the bottom of our site and we'll keep you posted. 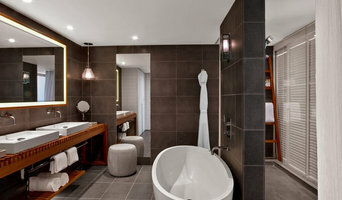 Established in 2006, Camberwell Bathrooms has built a well-earned reputation as one of Melbourne’s leading boutique bathroom retailers. With a passionate team of dedicated consultants, Camberwell Bathrooms assists you in making your building or renovating project as seamless as possible. A dedicated team of consultants that recognise each customer has individual needs, aspirations and budgets. We provide quality one-on-one service to ensure every customer is fully satisfied. I am the managing director of www.fontaineind.com.au where you can find fixtures and fittings for the bathroom, kitchen and laundry. As an online retailer we are strong believers in being open and engaging our customers to help them be able to make confident decisions about styling their new build or existing home renovation. At our online store you can find vanity units, tap ware, baths, toilets, shower screens and bases, sinks, and much much more. We deliver Australia wide and have a stylish range of product that is affordable and designed by Australians for Australians. Sussex is a true, local industry with our own foundry and manufacturing workshop in Melbourne. We create our taps using rigorous methods that we pioneered and refined. The Brand New Company is a full service remodeling center. For over a decade we have designed, managed and installed kitchen and bath projects throughout the Melbourne. When a client is referred to us, our goal is not to just sell them product and send them out the door, but to see their project through to completion. Currently our company has locations in Mulgrave . First Choice Warehouse is an exciting and innovative retailer of fittings and fixtures for your bathroom, kitchen and laundry needs. 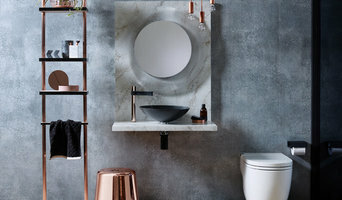 At our concept showrooms we display and warehouse a large variety of products in Melbourne such as: Vanities,Toilet Suites, Freestanding Baths, Accessories,Ceramic Basins,Shower Screens,Kitchen sinks and so much more. Fashioned by skilled craftsmen over approximately 200 hours, each 100 percent copper bath evolves into a unique masterpiece, proving versatile in a diversity of bathroom environments. Tap into the the luxury of 18th century rural France with a handwrought copper bath. Copper fulfills environmental criteria by heating quickly and maintaining water temperature efficiently. The bathing ritual is elevated to a level of comfort and romance never before experienced. Bathroom Synergy is an online seller of quality bathroom, kitchen and laundry products. Our products are sourced from premium suppliers and manufacturers ensuring overall customer satisfaction. Quality tapware, showers and accessories designed for Australian bathrooms and kitchens. Use the Houzz Professionals listings to find Melbourne, Victoria kitchen and bath accessory vendors. Don’t rule out asking a kitchen manufacturer’s design team for help, too. Skills often can be overlapped to save you time and money! 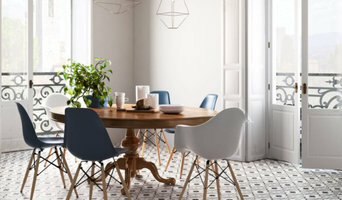 Here are some related professionals and vendors to complement the work of kitchen & bathroom fixtures: Kitchen & Bathroom Designers, Kitchen & Bath Renovators, Interior Designers & Decorators, Joinery and Cabinet Makers. Find kitchen and bath fixtures and accessories, plus installation experts, on Houzz. 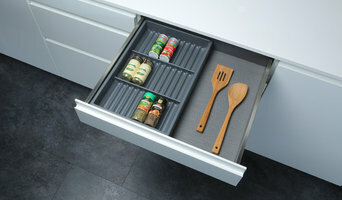 Check out Victoria kitchen products and installers, and bath plumbing products and installers, on Houzz. 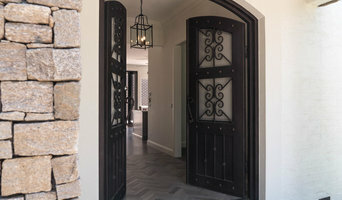 You can also look through project photos provided by Melbourne, Victoria renovators, retailers and designers.